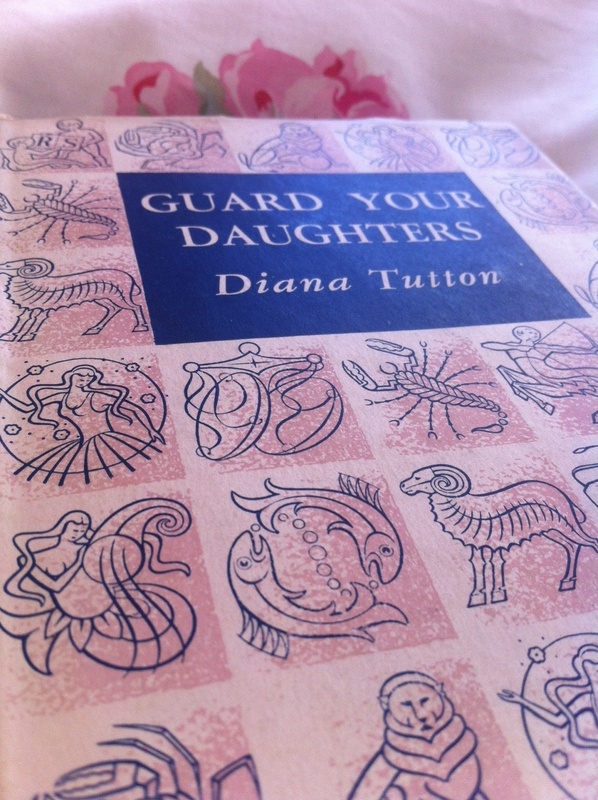 When Simon waxed lyrical about Guard Your Daughters a couple of weeks ago, I knew I had to read it. Any book that has shades of I Capture the Castle about it (and certainly no shades of grey!) is sure to be a hit with me, so I hopped on over to amazon, paid my 1p, and promptly had a copy delivered to my doorstep. I began reading immediately, and was enchanted from the very first page. Where has Diana Tutton been all my life?! This is the sort of book that is pure pleasure from start to finish, with hordes of wonderfully engaging characters, a slightly bonkers but still totally absorbing plot that is littered with references to Pride and Prejudice and a conversational, conspiratorial tone that draws you in and makes you feel completely involved in the goings on of the world that has been created inside the covers. I’ve just been teaching the art of Narrative Writing to my GCSE class this week, and I would have loved to have given a copy of this to each of my students. It’s the perfect example of an imaginative, engrossing, well plotted and delightfully characterised story, that also has a twist in the tale and leads you down a path you weren’t quite expecting at the outset. It’s such a treat to discover a new favourite; one that you know you’ll treasure and delight in for years and years to come. I already can’t wait to re-read it! So, why is this book so fabulous? Well, for starters, it has a cast of absolutely fantastic characters, with equally fantastic names. The narrator of the novel is Morgan, the middle of five sisters growing up in a rambling Georgian house in rural England. Pandora, the eldest, has just married and moved to London. Next is beautiful, haughty Thisbe, who spends her days writing poetry. After Morgan comes Cressida, the sensible and conventional one who is responsible for the cooking and housekeeping, and is desperate for a normal life. Finally, there is the youngest, Teresa, who is babied by everyone and whose only education has been being taught snippets of literature, music and domestic science by her older sisters. Morgan is attempting to be a pianist, but doesn’t apply herself enough to truly excel. She is a romantic, with a vivid imagination, moods that fluctuate wildly and a longing for adventure. The girls’ parents are rather absent…their father is a famous writer of crime novels, who spends most days holed up in his study, and their mother is ‘delicate’, spending most of her time in her bedroom. As such, the girls must largely fend for themselves. When the novel opens, they are primarily concerned with finding young men, which, in an isolated household with little opportunity to go out and meet others, is much easier said than done. We enter the Harvey sisters’ lives at a pivotal point. Pandora’s marriage has awakened her younger sisters to the idea of romantic possibility, and they see her life as the ideal they should all aspire to. However, Pandora’s marriage has in turn awakened her to the reality of how claustrophobic and limited her sisters’ upbringing has been, with no education and no social interaction. She dares to challenge their parents’ choices over the girls’ upbringing, opening a can of worms and planting seeds of change in her sisters’ minds. When two men, Gregory and Patrick, wander into their lives, they will expose both the girls’ naivety and their parents’ flaws in stark detail. Much hilarity, frustration and ridiculous attempts to outwit their parents ensue as Cressida and Thisbe fall in love, Morgan attempts to wangle herself a trip to London and Teresa tries to get out of being educated. As highly spirited, hilarious and heartwarming as this novel is, there is also a serious undertone that gives the book a depth and sophistication that I certainly didn’t expect. While this is a bildungsroman of sorts, charmingly chronicling the growth of Morgan from childhood into womanhood, it is also a fascinating exploration of how damaging parents can be when they allow their own selfish desires to outweigh the needs of their children. The Harvey girls have been sequestered in their home for years, guarded by their parents from the influence of the outside world. At first this appears wonderful, with the girls forming their own imaginative and loving self contained existence with plenty of innocent and cosy routines, such as a shared bath time when they all pile into the warm bathroom before bed to share their secrets. However, as the story develops, it becomes clear that this isolation is being enforced by their mother, whose capricious temper and misguided, obsessive love for her daughters controls their every move and prevents them from leading independent, fulfilling lives. The girls’ charming pluckiness and ability to derive joy from every situation is even more admirable and heartwarming when the reader begins to understand the restrictions they live under and the eggshells they must always walk upon. As I neared the end, I couldn’t bear to put the book down, so concerned was I as to how it would all turn out. This is a brilliant book, written with real skill, humour and warmth that kept me hooked until the very last sentence. I’m still thinking about Morgan and her sisters, and I wish there was a sequel so that I could keep reading about them and their adventures. I’m shocked that it’s out of print; it really is in the same league as I Capture the Castle, and it’s definitely Persephone material. You must read it, and if you’re lucky, you might get to sooner than you think, as I have a spare copy that I am happy to send out to an appreciative reader. Let me know if you want it (caveat – it is phenomenally musty smelling. Oh, and doesn’t come with a dustjacket) – I’ll do a draw if more than one person asks. 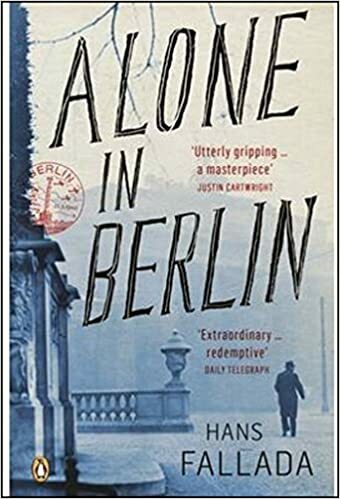 My thanks must once again go to Simon for recommending this absolutely exquisite gem of a novel; it’s a new all time favourite, and it’s going straight into my canon of comfort reads! You have a spars copy?! Please include me in draw. Verity offered to loan me her copy but I suspect this is one I will want to cherish. I consider myself to be quite well informed regarding great books that I should read in the future (although there’s certainly plenty of them!) but I have never heard of this book or author. I’m definitely going to keep an eye out for it at secondhand bookshops but would appreciate the chance to be gifted your copy! Keep up the great book on you blog! Fingers crossed that you get chosen, Katie, but if not, I hope you can find a copy of your own, as this truly is wonderful! Sounds wonderful. I’m sure I’d be an appreciative reader so please include me in the draw. I also bought a copy after reading Simon’s review because he has such good taste, and I am a huge fan of I Capture the Castle. I absolutely loved this, and I can’t understand why it isn’t more widely known. I was going to write about it last week, but I’ve been staying with my mother because she is still not well, and now you’ve said more or less what I was going to say! I’m so pleased you’ve enjoyed it so much as well, Christine! I’m sorry your mother hasn’t been well and I hope she’s feeling better. I hope you’ll still find time to write about it – the more voices talking about this book, the better! Lovely review, and I think you really capture the essence of this book. I just can’t imagine why it isn’t better known and why I can’t find out anything about the author online. It’s one of those books that really gets under your skin and stays with you – I know I shall return to it again and again. Thanks Kaggsy! Me too – I’d love to read more of her books, but despite being a prolific writer, they seem to be as rare as hen’s teeth! This sounds wonderful – if there’s a draw, I’d love to be included! You’re in the pot, Elizabeth! This book sounds so lovely. I just ordered it through our library loan because Amazon (US) had it listed for $30. I was happy to find a library in Michigan had a copy. Thank you for the recommendation. I’m so glad you’ve managed to find a copy to read – I hope you love it as much as I did! This sounds a blissful read, and I have never heard of her, so thank you! Could you please add my name to the draw? You’re welcome Deborah, and yes, of course! Oh you warm my heart, Rachel! But I knew you’d love it – my only worry was that you might not get around to reading it. I should know – it was on my shelf for three or four years before I read it. Just think, that heavenly book just waiting there, unread! Simon, I can’t believe you’ve had this for so long! I’m so thrilled you recommended this, and I already can’t wait to read it again! Wonderful, wonderful review, Rachel! I have this sitting on my shelf waiting for me (though, the way things are going right now, it will probably be waiting until the Christmas holidays – but that just means I have something to look forward to!) and I just know I am going to adore it. Oh Claire, you are in for such a treat! I just know you’re going to love this!! I was up until 2:00AM last night finishing Guard Your Daughters. Rachel, it is everything you say it is and more. I have found Tutton’s second novel, Mamma, at my favorite private library so that is next on my list. Thank you for a wonderful review. So glad you loved it Ellen, and PLEASE tell me what Mamma is like! You have got so many fab books at your fingertips in that library! All right! You have me convinced! I like the loaded title -yes, titles matter to me, I like the theme and premise and I like the twist and tautness of the book as you have described. The book is not available in India at the moment though. Glad I’ve convinced you, Uma, and hope you’ll find a copy one day! Having just recently read for the very first time I Capture the Castle, and loved it, I’m drawn in by your review, Rachel, and would love to read this. You have a way of writing about books that intrigues and invites in the best of ways. I know you’d love this, Penny! Thank you so much – you are so lovely! I read the first three paragraphs of this post and went looking everywhere for a library copy of this, but neither of my libraries has it NOR does PaperbackSwap NOR does Amazon. So hence can you toss my name in the hat? Because it sounds wonderful. I’ve just ordered it via Amazon, and there are still several more copies from Amazon sellers (more expensive than the one I ordered but probably in better condition than mine will be!). Like everyone else, I loved I Captured the Castle and can’t wait to receive my Guard Your Daughters (it’s coming from Belgium!). Glad you’ve found a copy, Marion – you must let me know what you think! I have never heard of this book or the author. I am intrigued. I will be looking forward to it in local libraries. Thanks for your review. I hope it’s in your library system somewhere Janet! If Jenny wins it, I will borrow it! This reminded me a bit of The Brontes Went to Woolworth’s – that undercurrent of something peculiar and wrong underneath a quite lighthearted novel. Your wish is my command!! 🙂 Yes – it is a bit Brontes went to woolworth’s-esque…also shades of Cold Comfort Farm! Hi Jane, I did put your name in but sadly you didn’t win 😦 hope you can find a copy! Great review, Rachel! You’ve got me convinced – can you please put my name in the hat? Thanks Florence! Sadly you didn’t win but hopefully more copies will pop up on amazon soon! Haha! When I wrote my review, I thought I’d check the number of GYD copies on Amazon, to see the impact a very enthusiastic review might have. There were about 30 – which descended to 5 over a week – and now, with your review, the final few have gone! The power of blogs, eh?! That’s amazing!! A Diana Tutton revival! Put me down for your extra copy please. I doubt if I could find it here in California, even with Amazon! I’m sorry you didn’t win, Marilyn, though I hope a copy will surface for you from somewhere! This book sounds absolutely fabulous, and I regret not ordering a copy as soon as Simon posted his review. Now I can’t find one anywhere! Please include me in the draw; I’d really love a chance to read this book as I Capture the Castle was one of my favorites from last fall when I first began reading real literature. If it’s half as good as you say, it’s bound to be another favorite. Oh Samantha, you should have been quicker off that draw! I’m sorry you didn’t grab a copy then, and I’m sorry you didn’t win my draw, but I hope a copy will come up for you somewhere soon! This does sound like a wonderful read, thanks for the review! I went looking for the 1p copies but have missed the boat I guess. If this draw is open to those outside the UK as well, could you please enter me in? Thanks! I’m sorry you couldn’t get a copy, Michelle! I did enter you but sadly you didn’t win, I am sorry 😦 hope you can find one soon. Both your review and Simon’s were so good, I would love to go in the draw for a copy! If it’s open to those outside the UK that is. Thanks Catie! Sorry you didn’t win this time but hope you find a copy soon! Please add my name to the draw, if there is one, I’d love to read this, it sounds like perfect autumn reading! I’m sorry you didn’t win, Lizzie, but hopefully you’ll be able to find your own copy! I would love to be added to the draw as well (if it is open to Canadian residents), as our local library unfortunately does not have a copy of it. It sounds great! Sorry you didn’t win – maybe you could get a copy via interlibrary loan?! Sounds captivating and I must read it! I don’t think I’m eligible for the draw since I’m not currently in England, but hopefully I can hunt down a copy at a specialty bookstore or online. Thank you for the great recommendation, Rachel!! Hi Lucy, you were eligible but sadly you didn’t win 😦 I hope you can track down a copy! I came here after I Googled “shades of grey”. No I jest, as you know I like to do, R.
“a slightly bonkers but still totally absorbing plot” sounds good to me….”that is littered with references to Pride and Prejudice” which makes it doubly interesting. I confess I haven’t read the latter, being generally disinclined towards such works, but it is actually on My List. “Pandora, the eldest, has just married and moved to London” and with a name like that I want to know more but if “beautiful, haughty Thisbe…spends her days writing poetry” perhaps my real attention will lie elsewhere. Lovely review R, as always. I would love to be in your drawing (if you’re taking entries from the U.S., that is….). I’ve been having some book blogger reading envy with this one. Simon’s review first piqued my interest and now yours has be dying to read it! I’m so sorry you didn’t win, Miss bibliophile! I know you’d appreciate it though, so I hope you find a copy. I’ll certainly be looking out for more spares so you never know…I might be able to get one to you in future! I also put this on my TBR after reading the post on it on Savidge Reads. I would very much like being counted in for this one if you are entertaining overseas entrants. I’m sorry you didn’t win, Mystica..here’s hoping it turns up for you somewhere soon! I ordered a used copy via Amazon after Simon first mentioned it on his blog, but that was over a month ago and it hasn’t arrived and the bookseller won’t respond to my email queries. 😦 I can’t wait to read it! Oh no, Amy! 😦 I hope it arrives soon. Fingers crossed! Sounds a lovely read, will check the Library here.. Please do not use my words or photos without permission. Thank you.